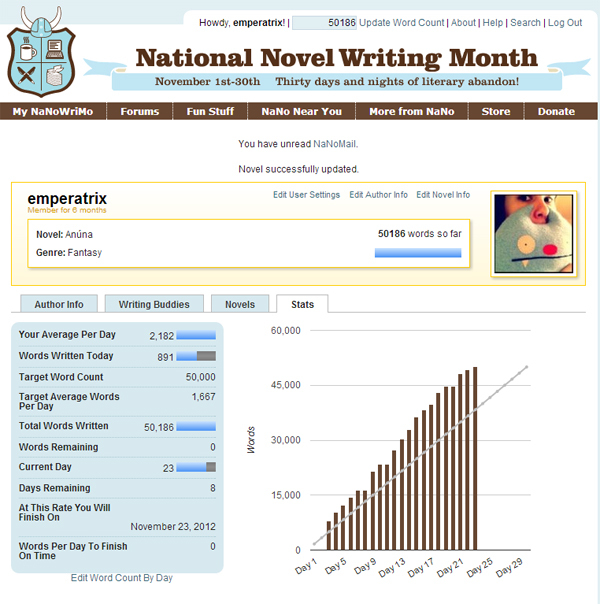 I’m not done writing for the day, but I just passed the 50K mark!!!! I think Anúna is still about 20-30K away from being finished, but this is such an achievement for me! Now, to finish this thing.